The Orbit Dolly 5" Caster Wheel Set is designed to set your tripod/camera setup free and make the already useful Orbit Dolly close to indispensable. 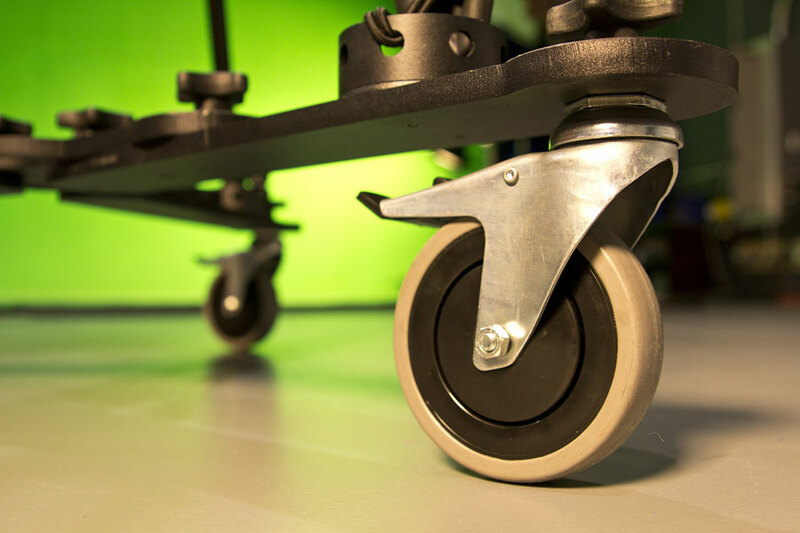 The normal Orbit Dolly wheels (as well as the optional 8" pneumatic wheels) are designed for tracking shots in a smooth circular, straight or arced motion on a variety of surfaces. 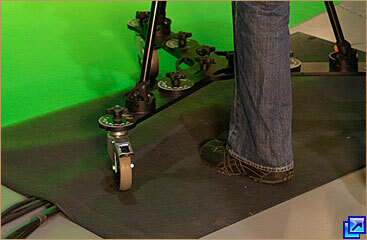 However, you don't always need the control of this kind of tracking. 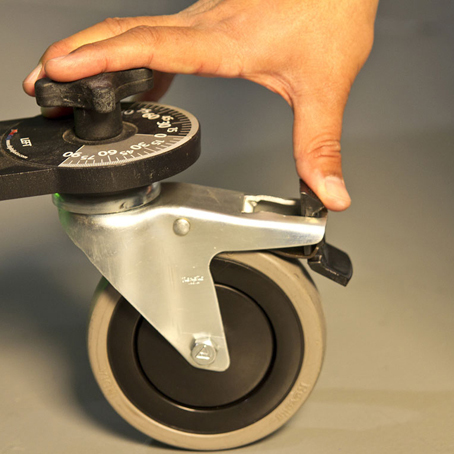 With these new highly maneuverable swiveling 5" caster wheels you can move your camera quickly, quietly and easily in any direction the action takes you, while still taking advantage of the sturdy base and smooth movement of the Orbit Dolly. Not only do these wheels make your Orbit Dolly even more flexible and functional but they also mean you can do away with the need for tripod spreaders and a dedicated crew to move your tripod and camera from shot to shot. Save time and money and give yourself more freedom of movement. 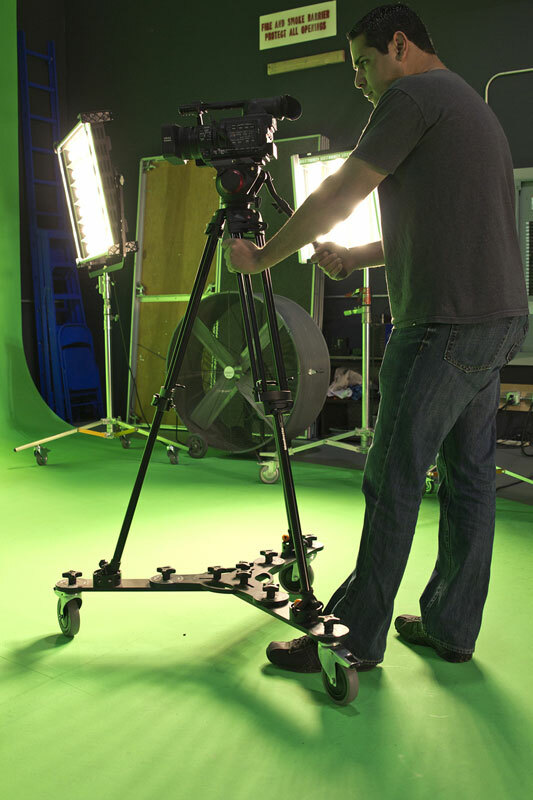 Set it up once by anchoring your tripod to the lightweight but sturdy mobile base of the Orbit Dolly with caster wheels attached -- and then you are set to follow the action with a stable free motion dolly, while still retaining the ability to lock down all three wheels for stability and support when you need it. 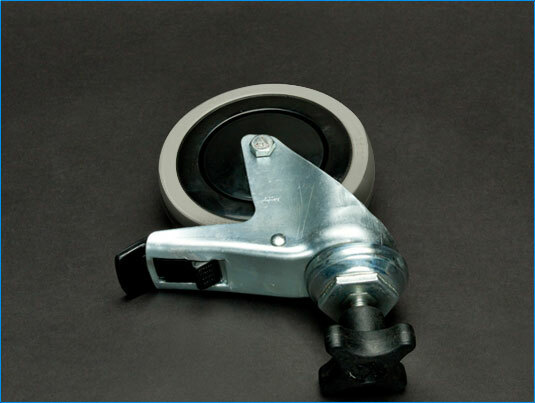 When the brake is applied, it locks the swivel function as well as applying braking to the wheel, giving you stable, sturdy support when you need it. 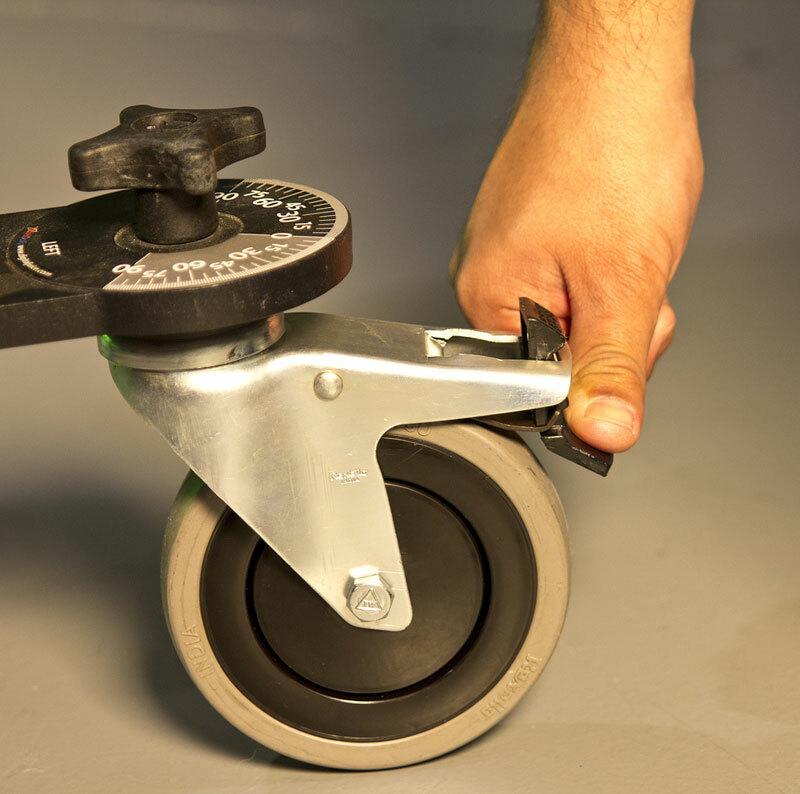 Locking (top left) and releasing (above and left) the integrated top lock and brake on each wheel is quick and easy using either foot or hand. 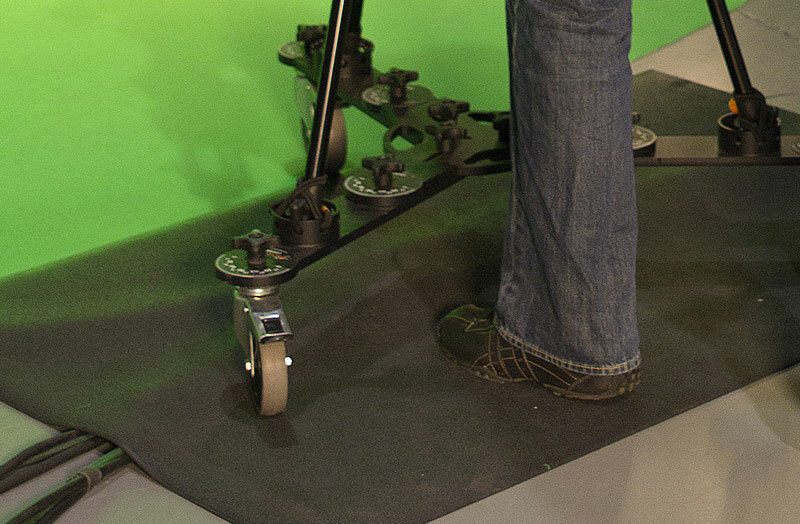 Whether in the studio or on location, the Digital Juice Orbit Dolly Caster Wheel Set is designed to give you more freedom of movement when shooting. 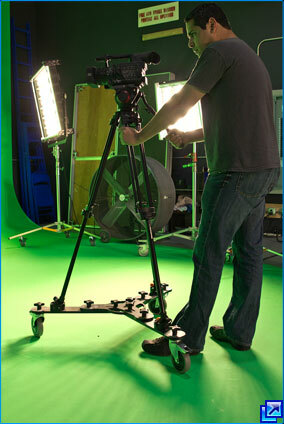 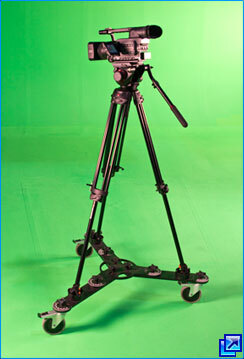 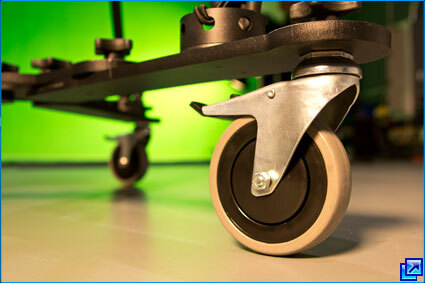 All the smooth motion of the Orbit Dolly without being restricted to a set arc of motion. 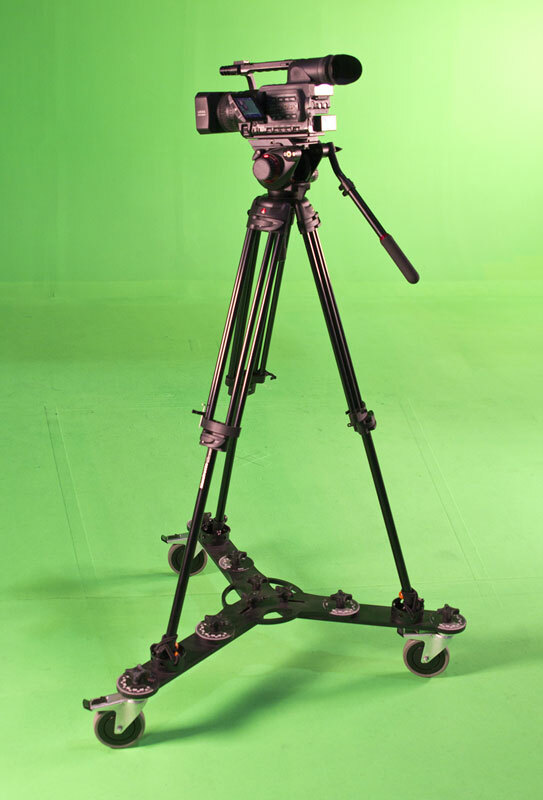 Plus you can shift your tripod setup without a crew to lift heavy equipment and without the hassle of readjusting everything for the new shot. 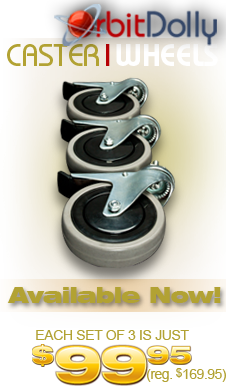 Extends from 24" to 44"
How does the Orbit Dolly Caster Wheel Set differ from the standard wheels on the Orbit Dolly or its optional 8" Pneumatic Wheel Set? 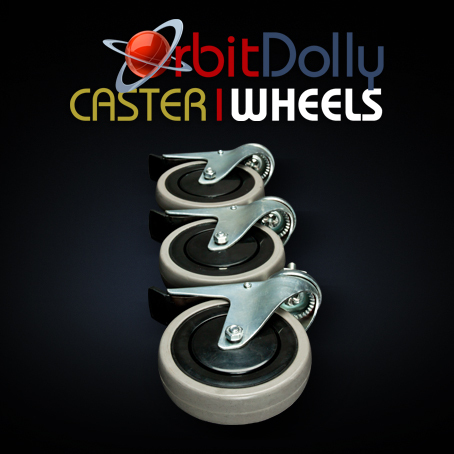 The Caster Wheels for the Orbit Dolly can swivel in any direction, while both other sets of wheels are designed to move in a specific angle, either straight or curved, as defined by the settings dials on the Orbit Dolly. 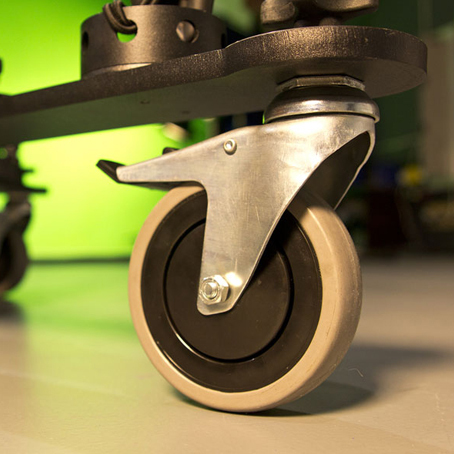 The caster wheels are designed to give you more freedom in your dolly shots, so you can move quickly and smoothly in any direction. 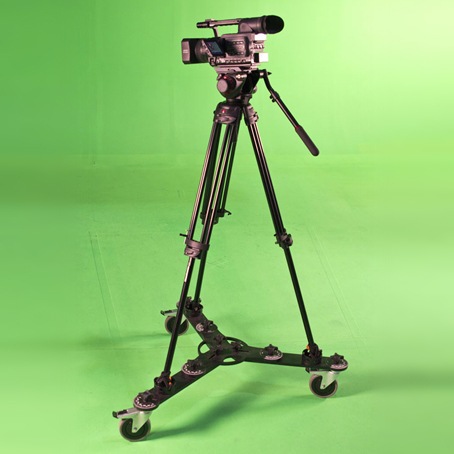 They also provide a painless way to move your complete camera/tripod setup from point A to point B without any heavy lifting or readjustment. 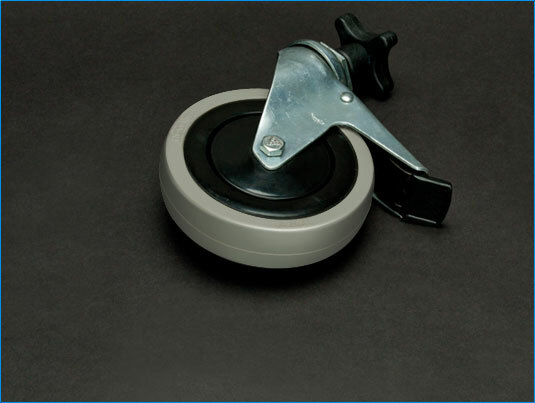 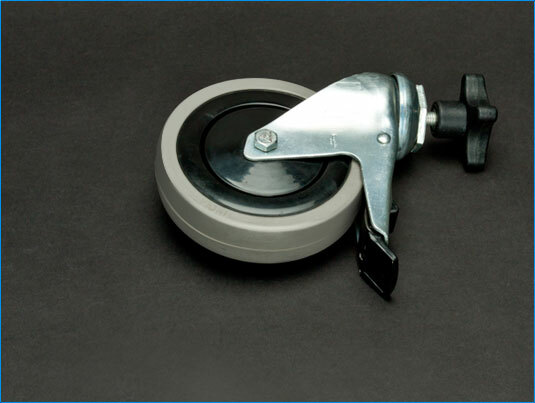 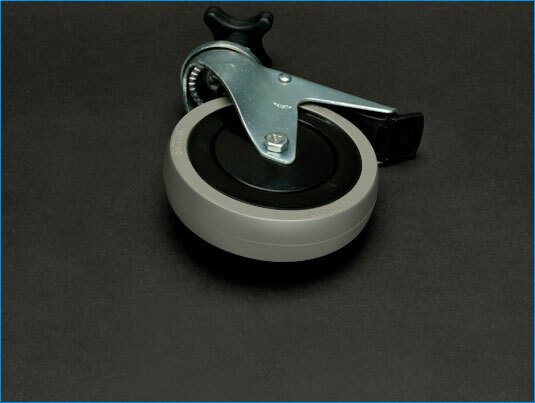 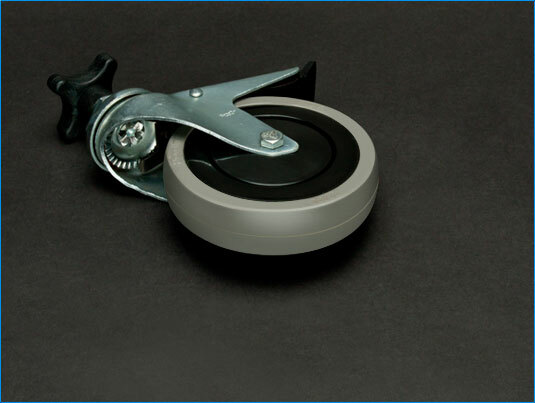 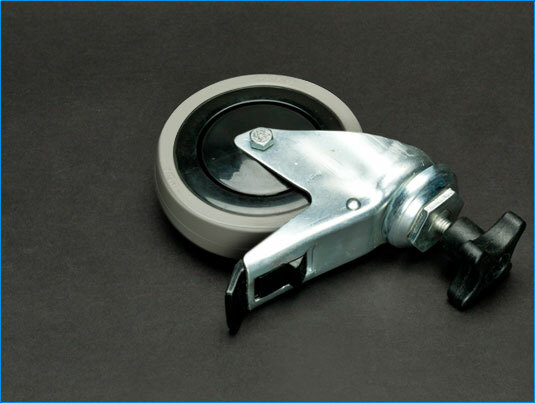 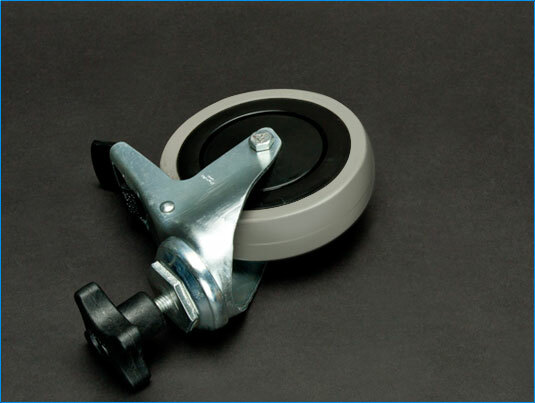 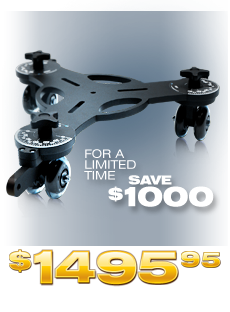 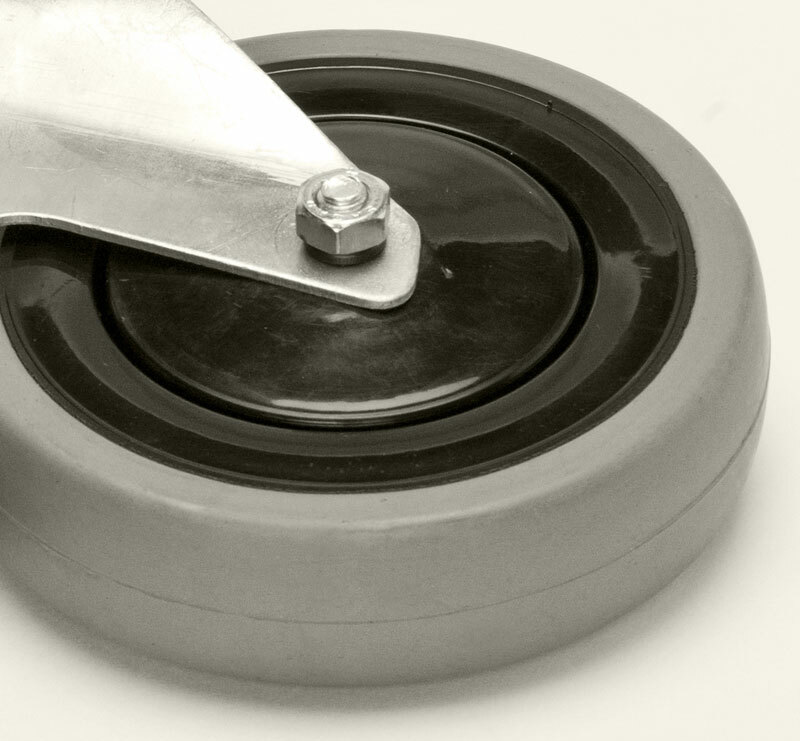 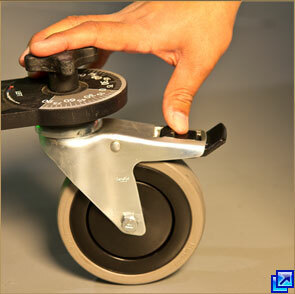 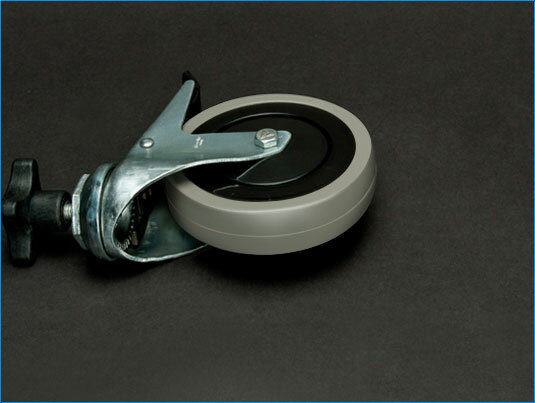 The caster wheels can also be locked down to give you a stable base when you need to stay in one place. 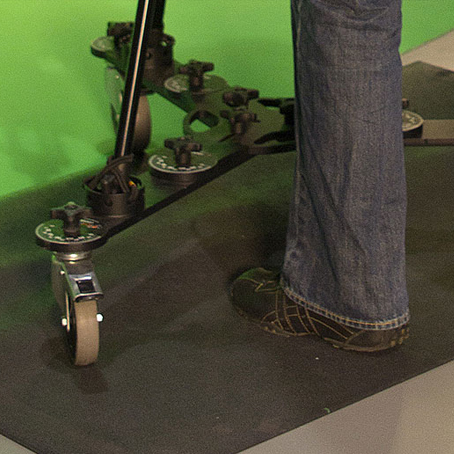 How do these wheels attach to the Orbit Dolly? 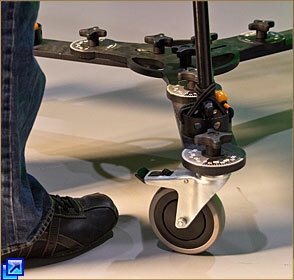 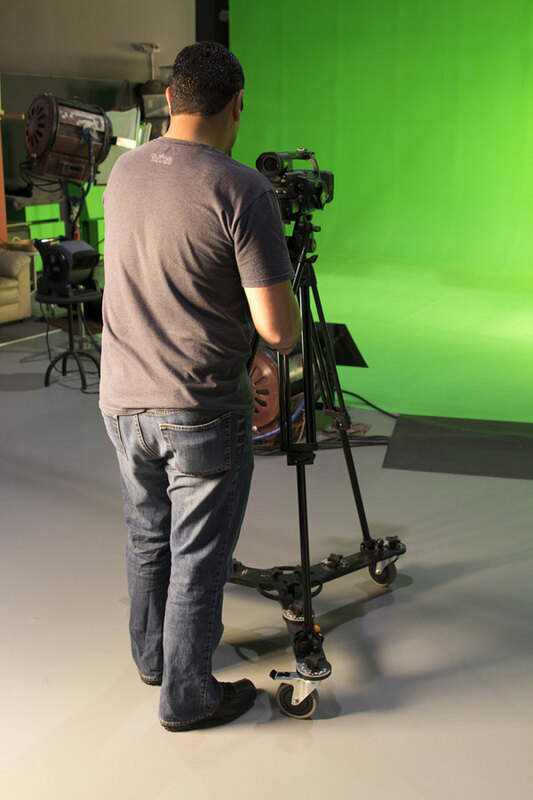 The threaded stems of the caster wheels attach to the Orbit Dolly through the same attachment point as the standard wheels, using the easy-grip standard knobs that come with the Orbit Dolly. How much extra work will I need to do to keep the caster wheels rolling smoothly? 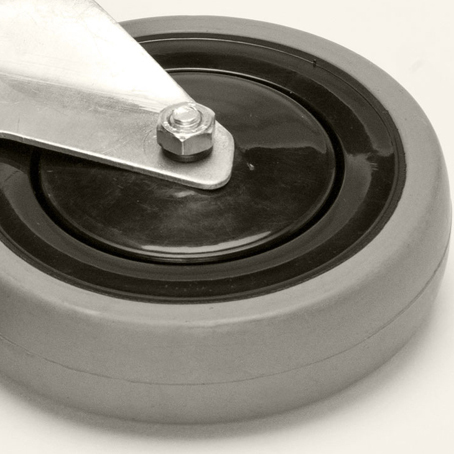 Other than the occasional wipe with a wet cloth to keep the wheel and tire surfaces clean, these wheels are pretty much maintenance free. 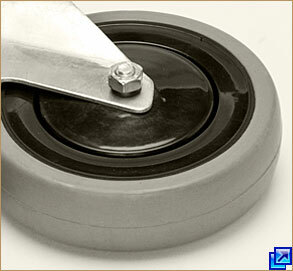 The sealed hardened inner raceway for the bearings in these wheels never needs re-greasing or cleaning since no dirt can get in to affect the bearings.